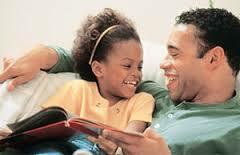 Custody issues involving minor children consist, among other things, of two concepts — decision-making and timesharing. In some cases, both parents are responsible for making decisions affecting their child. However, in other instances, only one parent wields that responsibility per the court order. Parenting time or timesharing refers to the amount of time each parent will spend with his or her child based on a best interests analysis. The facts of In Re Blaklyn M. are Roy M. (Father) sought visitation with his child, Blaklyn M., born in March 2013. The court entered a Temporary Agreed Order declaring Father to be the biological father of Blaklyn, granting him parenting time from 12:00 noon until 6:00 p.m. on Saturdays and such additional parenting time as might be agreed upon pending further order of the court, and appointing CASA to investigate and make a report to the court. The case was heard on January 29, 2014, at which time Father, Mother, and a representative of CASA testified. The court ruled in Father’s favor awarding him parenting time as follows: from 10:00 a.m. until 6:00 p.m. on alternate Saturdays and Sundays beginning February 8 for four visitation periods; from Saturday at 10:00 a.m. to Sunday at 6:00 p.m. on alternate weekends for four visitation periods; every other weekend from 6:00 p.m. Friday to 6:00 p.m. Sunday; each Tuesday from 4:00 p.m. to 7:00 p.m. beginning February 11. The court also directed that parenting time during major holidays would be alternated and that Father would have one week of parenting time during the summer of 2014, two weeks during the summer of 2015 and three weeks in 2016. Let me tell you why I am doing this, sir. You got to — you go to work at six o’clock. I hate when a child has to get up at 4:30 or whatever or — whatever and get over there, and you don’t have any time with the baby. In taking into account the child’s best interest, the court shall order a custody arrangement that permits both parents to enjoy the maximum participation in the life of the child consistent with the factors set forth in this subsection (a), the location of the residences of the parents, the child’s need for stability and all other relevant factors. In the absence of [specific findings of fact], we have reviewed the testimony . . . and conclude that the evidence preponderates against the parenting time schedule adopted by the court. The reason given by the court is, standing alone, insufficient justification to limit Father’s parenting time, particularly at times when Father is not at work. In addition, we fail to see any justification for limiting Father’s continuous parenting time during the summer months in the manner ordered. We therefore reverse the residential parenting schedule and remand the case for the court to adopt a schedule that affords Father more parenting time, considering that Tennessee Code § 36-6-106(a) favors a parenting schedule that gives each parent the maximum amount of time in accordance with the child’s best interests. As such, the Appellate Court reversed the residential parenting schedule and remanded the case back to the trial court for the to adoption a schedule that afforded Father more parenting time. If you believe you’re not spending enough time with your child, you should seek the services of an experienced family law attorney. Contact Jim Widrig or any of the attorneys at Widrig Law PLLC to schedule a free consultation. Our phone number is 615-417-7800.